New Zealand shrubs live in varied natural habitats - swamps, mountain gullies and ridges, alpine valleys, the Moosey Garden, and so on. Aciphyllas are generally found above the bushline in tussock and scrub. Actually, it's really best not to find them - well, not to get too close, and definitely not too personal. The spikes are dreadfully prickly. Don't ever think to grab one as a handhold, and never lose your balance near a mountain Aciphylla. Ouch! 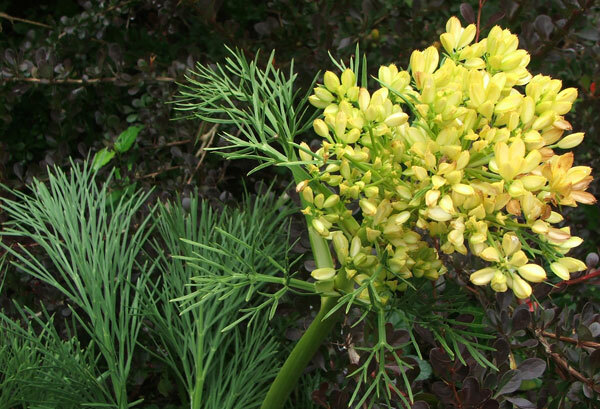 The flower heads are a pretty creamy yellow, with a sweet scent. This year flowers appeared for the first time on my Aciphylla, bought from a near-local nursery with the appealing label 'Non-Spiky'. Its foliage looks different than the Aciphyllas I've met in the bush, though the flowers seem very similar. 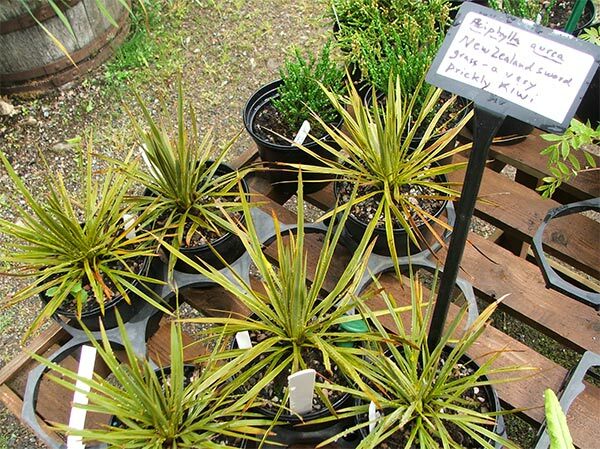 I giggled when I saw spiky Aciphyllas being sold in a Scottish nursery - I wouldn't let those anywhere near my garden. My back country experiences have taught me that these plants create panic, followed by wobbliness, in older hikers and wanderers who walk past them. Aargh!